Hadas Mizrahi tearfully asks the State to reject petition protesting punishment for her husband's murderer. 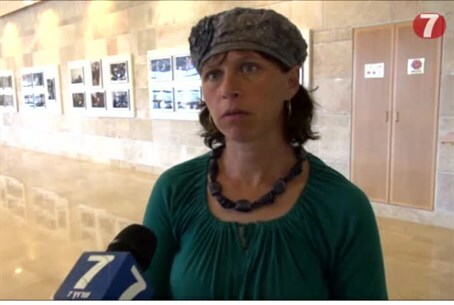 Hadas Mizrahi, the widow of slain Commander Baruch Mizrahi hy"d, defended the State of Israel's decision to demolish the home of her husband's murderer at a Supreme Court hearing Monday afternoon. "We are talking about suicide," she said, referring to a petition to prevent the demolition. "Look at us. We are innocent people who are suffering. We were driving to the [Passover] Seder in our car when [the terrorist] shot at us, he hit Baruch in the head, I managed to hide our children." "He ran away," she said, through tears. "What cruelty is this! We did nothing wrong, we were innocent." "Maybe demolishing this house will be a deterrent," she cried. "I am crying to the State of Israel: take care of us. We are your people!" "I came to court today to try to speak to the judge and tell him - 'We are talking [about saving] the terrorist's home, and what about me? '," she exclaimed. "I was left with five children, a mother wounded with children who are injured mentally and physically - what, I'm not a part of all this?" "This terrorist was released as part of a 'gesture' and he murdered again," she continued. "He should have thought twice if he had not wanted to see his home demolished, it is the minimum that should be done." "It is a fundamental act of justice to destroy the terrorist's house," Indor stated to Arutz Sheva Monday. 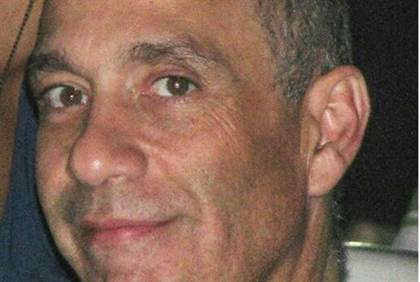 "It cannot be that a terrorist released in the Shalit deal will [just] go back to jail and that the minimum of destroying his home will not be carried out." Mizrahi added that the entire experience, overall, was "strange." "It's strange for me to come and ask for [the home to be demolished], as strange as it would be for me to ask for the death penalty," she said, adding that "it's obvious he deserves the death penalty." "But apparently the State does not understand this, and everyone goes to petition [against it]," she added. "I say to that: Look me in the eyes. Look at me." Earlier this week, a petition was filed against the home demolition in the High Court of Justice; the Court rejected the petition "in light of the current security situation" and cited concerns that terrorist Ziyad Awad - who also carried out the attack with his son's help - will kill again. "[The terrorist was] released as part of a deal [which] was contingent on not engaging in any terrorist activity," the High Court noted. "Within a short time he returned to serious terrorism, which also included calling on [the populace] as an imam for suicide attacks against Israeli targets." The state also noted that the murder was premeditated, with several "practice sessions," and that the building had - in any case - been slated for demolition "for years" before the murder.